Food and drink happenings in SA, including Electra House’s inaugural CBD wine festival, an alfresco long-table dinner at Penny’s Hill, a celebration of SA spirits at Plant 4, whisky + yakitori at Shō, and 2KW’s 15 Shades of Rosé. A wide range of wines and bites will be available at Electra House's CBD & Vines. To be held over two days across the three levels of Electra House, this new festival will feature more than 80 wines from 20+ producers, as well as an outdoor space dubbed Tin Can Alley with live music and craft beers from the likes of Mismatch, Tiny Rebel and Little Bang. There will also be gin, whisky, masterclasses and DJs, as well as food by Electra House head chef Josh Kim. Entry tickets for CBD & Vines are $40 per day or $70 for the two days. The festival is on from 10am-8pm on Saturday and 10am-6pm on Sunday. Read more in this CityMag story. Adelaide Central Market is celebrating its 150th year with a birthday party this Saturday. As well as prizes and market specials, the family fun day will feature a giant cake made by market stall Dough (slices available from 10am for a gold coin donation to OzHarvest), cooking demonstrations, live music, and kids’ activities such as cupcake decorating and face painting. Punters are promised a huge range of “specialised flavours and incredible mixes of gin, vodka and whisky” from South Australian distilleries at this 11am-6pm event at Plant 4 Bowden. The $25 entry includes a tasting glass, with food also available and live music adding to the vibe. Details and tickets here. Leigh Street restaurant Shōbōsho’s yakitori bar Shō is celebrating the launch of new-release Japanese whisky Suntory Toki with an intimate eight-seated dining experience matched with Suntory whiskies. 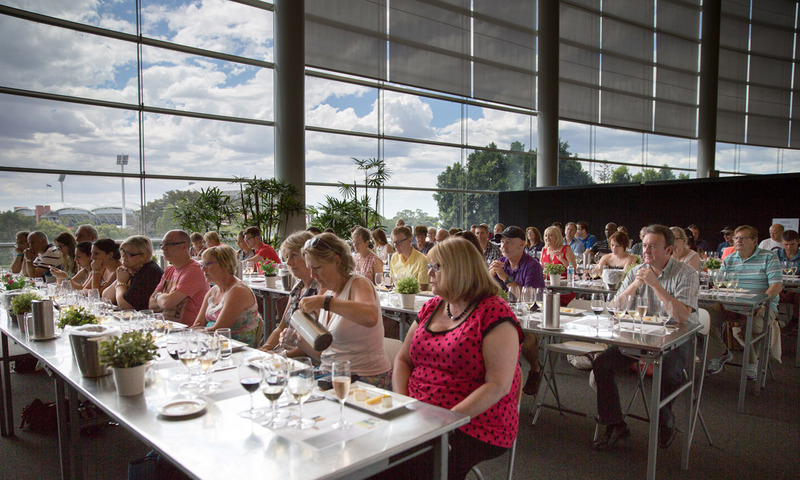 The dinner – which costs $90pp including food and drinks – will be hosted by brand ambassador Dan Wooley, with two sittings at 6.30pm and 8.30pm. Booking details here. Craft beers lovers will converge on The Edinburgh Hotel & Cellars at Mitcham next weekend for its annual craft beer fest. As well as plenty of brews for the tasting – including releases from the likes of Big Shed, Hawkers, Colonial, Bridge Road and more – there will also be live music and giveaways. The festival will run from midday until 4pm, with the $40 ticket price including 10 tasting tokens and a slow-braised beef brisket burger with chips. This long-table, open-air dinner at Penny’s Hill in McLaren Vale will feature a three-course, Italian-style menu created by chef Tom Boden to champion locally sourced produce. On arrival, guests will be able to meet producers and sample their wares, while also sipping on local beer, wine or gin. “Starting the ‘tradition of the plate’ at this inaugural Toast The Locals event, we invite you to bring your own dinner plate to our long table, bringing a small piece of your unique story with you, and taking it home again later with great memories and some of our story,” says Penny’s Hill. Tickets for the dinner are $180pp, with a bus service also available from Victoria Square in the CBD for an additional cost. Read more here. Clare Valley Brewing Co will launch its two latest beers – the Mango Berliner Weisse and Hazy Mosaic IPA – at this Cry Baby takeover. Its XPA and Hoppy Lager will also be on tap, with the Solomon Street bar serving up a Cajun barbecue (including vegetarian options) to complement the brews. Details here. More than 30 food trucks will gather at Kings Reserve in Torrensville for this City of West Torrens festival. 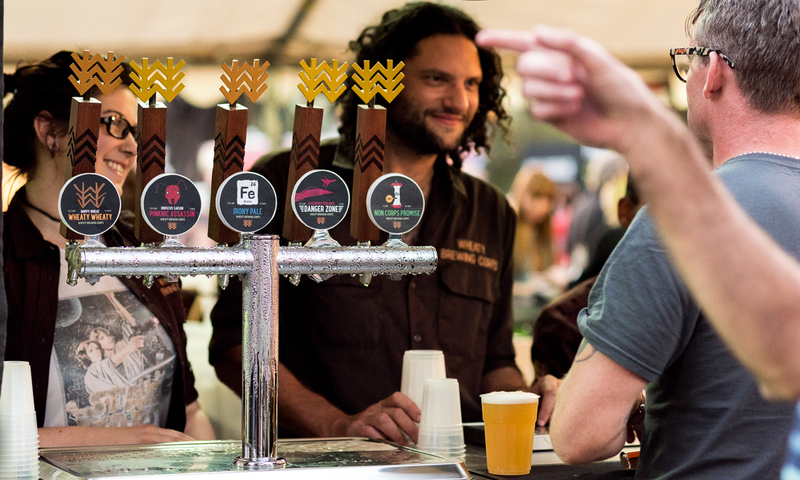 Alongside a range of entertainment, including live music and kids’ activities, there will be beers from SA craft breweries Big Shed, The Wheaty Brewing Corp, Swell Brewing and Left Barrel, plus local wine, cider, gin and “some tasty summer cocktails”. Take a Fork on the Westside will be on from 5-10pm; keep an eye on the Facebook page for updates. Hotel Longtime in Grote Street has teamed up with Pizzateca and Skin Contact DJs for this afternoon of “beats and booze”. Big Trouble, from 1pm-10pm, will also showcase drinks from Mismatch Brewing Company and Alpha Box & Dice winery. 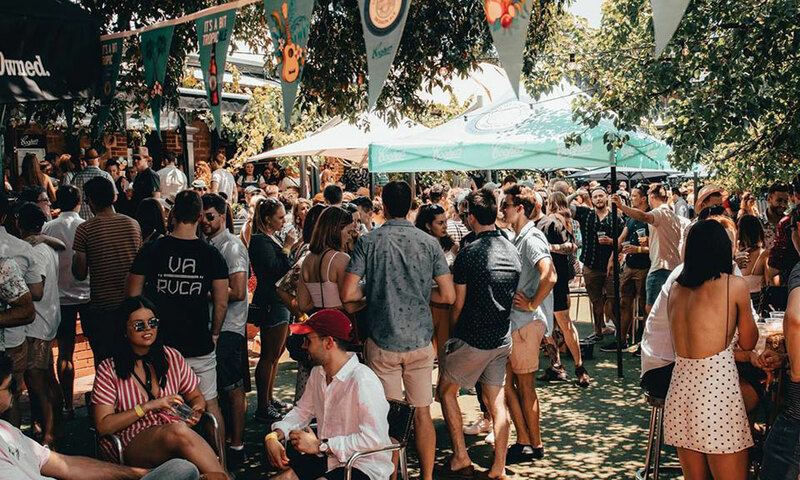 Lot Fourteen (at the old RAH site on North Terrace) is kicking off its 2019 Hello Fridays sessions with a World Margarita Day event from 4-8pm on February 22. There will be drinks from Propaganda and live music in The Chapel; details here. The love affair with rosé continues with this afternoon event at 2KW which will showcase 15 different styles of the wine from across Australia, France, Austria and Italy, alongside what is described as an “epic Mediterranean outdoor feast” by chef Trent Lymn. Tickets for 15 Shades of Rosé are $99 and the dress code is pink and white. To be hosted by Champagne expert Tyson Stelzer, this $299-a-head dinner degustation at Sprout Cooking School will see five Champagnes (including the likes of Bollinger Special Cuvee NV and Pol Roger Vintage Brut – all served in magnums) matched to five courses including oysters, scallop carpaccio, chicken liver parfait, confit salmon and duck. Read more in this Forager story, and book tickets here.